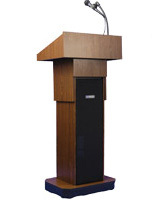 This podium stand is one of our least expensive models. 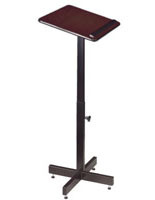 Utilizing a small footprint and lightweight design, the pulpit is also highly portable! 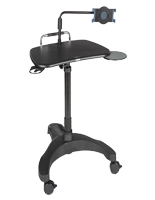 The stand features four elevated feet for stability and a telescoping pole for the perfect height adjustment. 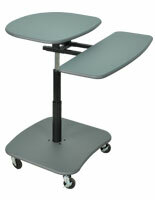 The top is covered with an oak plastic laminate with rubber T-moulding for extra durability. 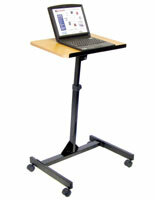 A book/laptop lip completes the design. 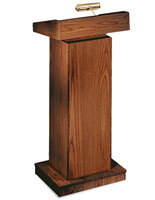 This podium stand is the affordable choice and one of our best sellers.